Unexpected error launching Internet Explorer. 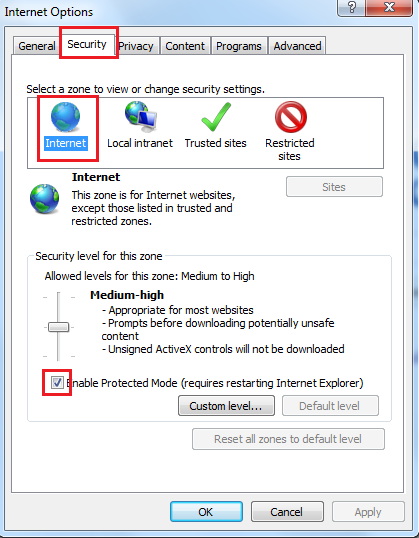 Protected Mode settings are not the same for all zones. 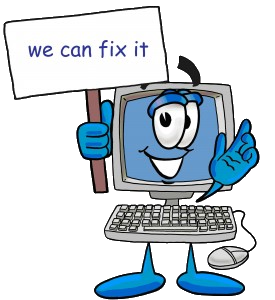 org.openqa.selenium.remote.SessionNotFoundException: Unexpected error launching Internet Explorer. You might have seen this error while executing your WebDriver script on Internet Explorer browser. Here I would explain you that how to fix this issue. 1. 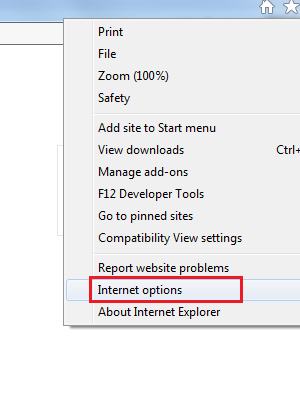 Go to Internet Explorer browser settings and click on “Internet options“. 2. Once you click on “Internet options“, it opens up a pop up where you will see a “Security tab“ on the top. Just click on it. 4. Click on First option and you will see “Enable protected mode” check box at the bottom. Just mark it as checked, if it is already checked then leave it and move to second option and again you will see the same check box at the bottom. You have to check this particular check box for all 4 options. 5. 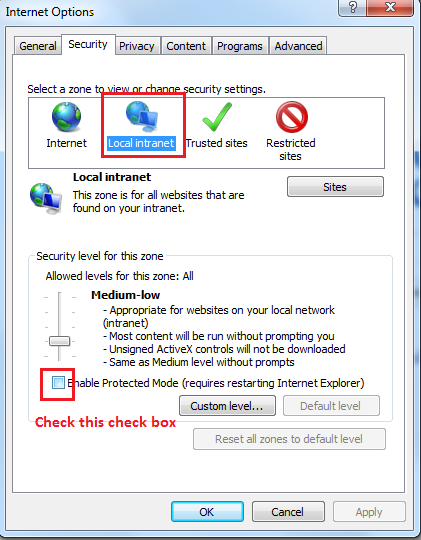 Once you done with the above settings, now is the time to execute your WebDriver script on Internet Explorer browser and this time your script will work on IE browser. ← TypeError: Failed to execute ‘createNSResolver’ on ‘Document’: parameter 1 is not of type ‘Node’.